You win everything in this photo! 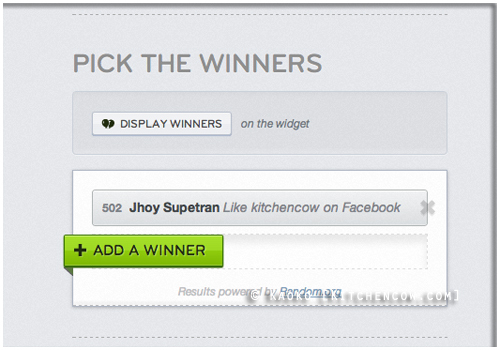 To everyone else who joined, please accept my sincerest thanks for supporting the contest and the blog. I really appreciate it. Now on to year 7! This entry was posted in admin, giveaways. Bookmark the permalink. 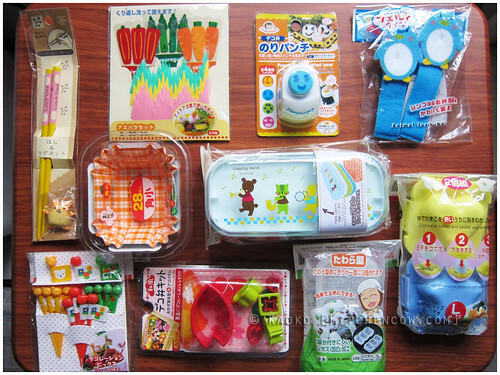 One Response to Kitchen Cow 7th Anniversary Bento Giveaway Winner! Your products are tasty and neat looking. In other words, it is very presentable. It will make the clients feel that it is safe to eat what you serve and delighted by the way you designed it.